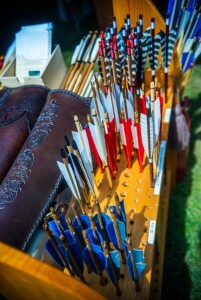 Does your Business Quiver have an Essential Arrow? In the third Hunger Games novel, “Mockingjay,” Katniss Everdeen receives an upgraded, color coded bow and arrow set. The colors identify the arrow: razor-sharp, explosive or incendiary. Even if you haven’t read the book or seen the movie, you know she knows which arrow to use for which job. And let’s face it, running a business can be like “The Hunger Games.” If your business succeeds and contributes to society then you and your family will do well. But you are competing against a lot of other “hungry” businesses. 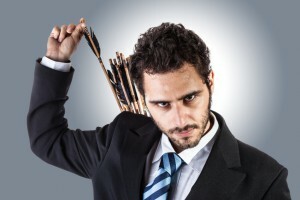 Everyone has a quiver full of arrows (communications, marketing, accounting, information systems, etc.) and everyone is targeting the same game (client/customer).You need a Katniss-like advantage. But herein lies the million dollar question: Which is the appropriate arrow? But herein lies (depending on your business size, what could literally be) the million dollar question: Which is the appropriate arrow? As founder and CEO of Kirchner Group I have shot my share of color-coded arrows. For the past three decades we have acquired, managed and invested in private assets in dozens of countries. I have been principal or agent in hundreds of early and mid-market private capital ventures in my 50-year career. Today, our activities range from advisory to operational support (working with a broad range of companies from startups to Fortune 500) to asset management (for some of the largest insurance companies, commercial banks and institutional investors in the world). In addition, some of the subsets of those advisory services include M&A, diagnostics, data analytics, diligence and lifecycle partnerships. The one thing I have learned over the years, is that an essential arrow for you to have in your business quiver is Kirchner Group’s Business Brain Model. The Business Brain Model℠ directly effects communication, performance, interactions and decision making – everything your business relies on to succeed and everything our business has capitalized on to succeed. In other words – the Business Brain Model knows how to capitalize on the brain behind the business-minded leader. Taking it one step further – the business-minded leader needs to become the mind-business leader. And that is where this digital library comes in to play. I am proud to champion the Business Brain Model way of thinking about how business should be conducted in the future because I believe the integration of neuroscience, psychology and other related areas into a business context is a model worth pursuing. If we can influence the next generation of business leaders and established business managers who are making the extreme sacrifices that go with being an entrepreneur then that would be rewarding. In some societies the rite of passage is handing down the weapons of previous generations and saying “Go fight the wolves.” By providing the Business Brain Model arrow – a new and improved weapon – we are enhancing the likelihood that a company and a mid-market manager will survive and prosper when they battle all those wolves. I hope Exploring the Business Brain will ultimately become the proponent of a dialogue that will stimulate input and feedback from several quarters. Let’s be clear, first and foremost I am a business person not a neuroscientist or psychologist. Along my path of success with Kirchner Group, I have leveraged a coincidental exposure to various aspects of neuroscience and psychology. I have committed to sharing in an open context the relevance (and value!) of the Business Brain Model. So know my intentions are sincere. This resource is not a series of scientific lectures but rather it will present you with facts and findings found relevant from a business perspective. I firmly believe that business, guided by the Business Brain Model and driven by a win-win philosophy, is on the horizon. You can see it. You can reach it. Set your sites. Grab your new arrow. Take aim. And let that arrow fly. I hope I am closer to the former than the latter in this endeavor. About the Author: W.B. “Bud” Kirchner is a serial entrepreneur and philanthropist with more than 50 years of business success. He is not a scientist or an academic but he does have a diversified exposure to neuroscience, psychology and related areas. Generally speaking, the ideas he expresses here are business-angled expansions of other people’s ideas, so when possible, he will link to the original reference.